Balkan dogs is a Finnish registered non-profit association created in spring 2015. Relying solely on volunteer work and donations the association aims at improving the living conditions of stray dogs in Kosovo and Bosnia. Currently, our work consists in providing financial support to assist with the daily needs (food, medicine and vaccination) and the improvement of two dog shelters, a municipal shelter in central Kosovo and two shelters in northern Bosnia. In April 2015, Mei and Katariina visited Gračanica, near the capital city Pristina, in order to assess the situation of stray dogs in Kosovo. With less than two million inhabitants, Kosovo counts three dog shelters and an estimated hundreds of thousands of dogs living in the streets. People’s attitude towards dogs is very negative and despite animal welfare laws, killing dogs in the streets is not unusual. Dogfights are also a growing problem in Kosovo. Gračanica’s dog shelter is a municipal shelter receiving help from Svetlana Bjelogrlic, our contact person and a relentless woman who dedicates all her free time to helping the dogs. Among other things, Svetlana has held numerous sterilization campaigns in Kosovo and Bosnia with volunteer veterinarians from abroad. Everyday life at Gračanica’s shelter is difficult. Daily food is not guaranteed and apart from a few restaurants and bakeries, Svetlana collects almost all the support for food and materials through donations from abroad. Donations are unfortunately insufficient to cover the medical treatments and vaccinations of the dogs or the amelioration of the facilities. Because of that, dozens of dogs died of Parvovirus and distemper last winter. Although the shelter does not have electricity, it has water and a big area, which would enable the construction of spacious enclosures for the dogs. To do so, more donations are needed. Sunshades and heated places are also needed to protect the dogs from the burning sun in summer and help puppies survive through the cold winter. At Gračanica’s shelter, the association’s aim is to improve the living conditions of the dogs and provide help with the basic needs, especially food but also medical cares, vaccinations, sterilizations, and the amelioration of the shelter’s facilities. 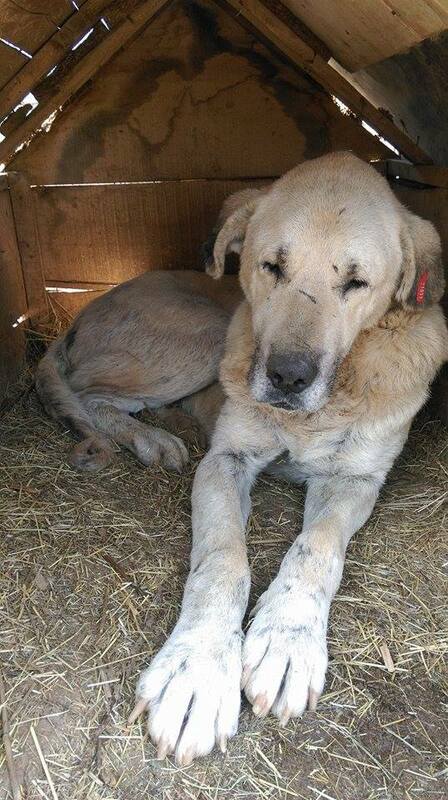 In Bosnia the association cooperates with a private shelter established three years ago by a local lawyer. With 120 dogs, the shelter operates without any assistance from the municipality and a limited amount of donations. Compared to Kosovo, the conditions at the shelter are considerably better: the shelter has electricity and water, and dogs’ vaccination has started. In addition, the association also cooperates with Preslica’s municipal dog shelter, thanks to the new manager working to change the shelter’s bad reputation. In Preslica, the association helps covering the shelter’s needs (e.g. food, doghouses) that the annual budget cannot cover sufficiently. The association’s goal in Bosnia is to assist both shelters wherever it is needed, such as with sterilizations and castrations of dogs, medical treatements and vaccinations. With only a handful of dogs being adopted every year from the shelter, finding homes in Finland for these dogs is also an essential part of our work. Each dog leaving the shelter is an opportunity for another dog to be saved from the streets or from a municipal shelter, generally in more precarious conditions.